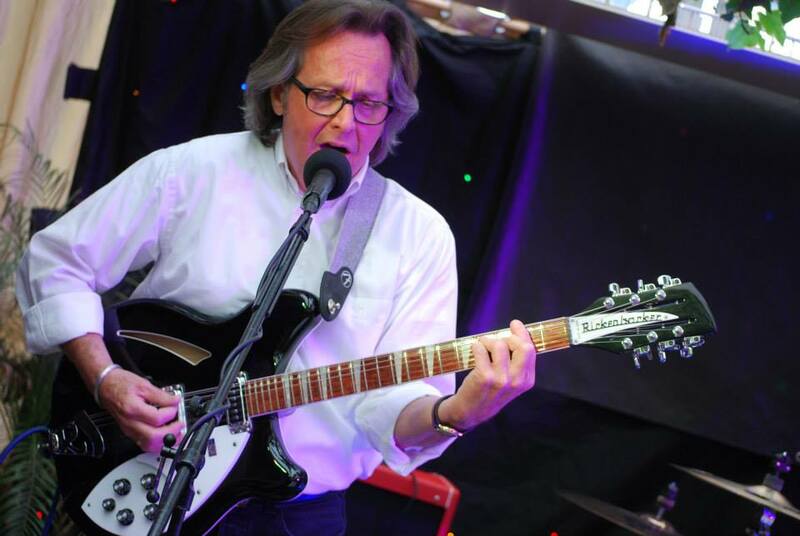 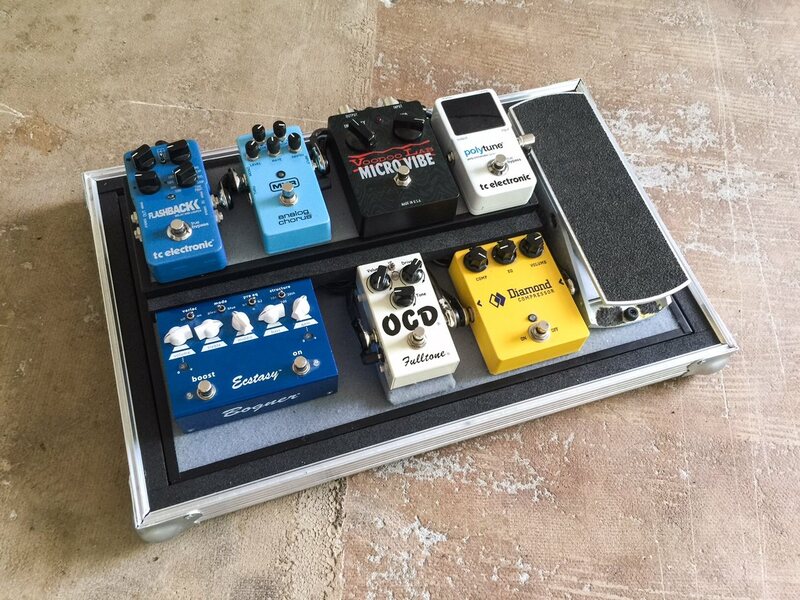 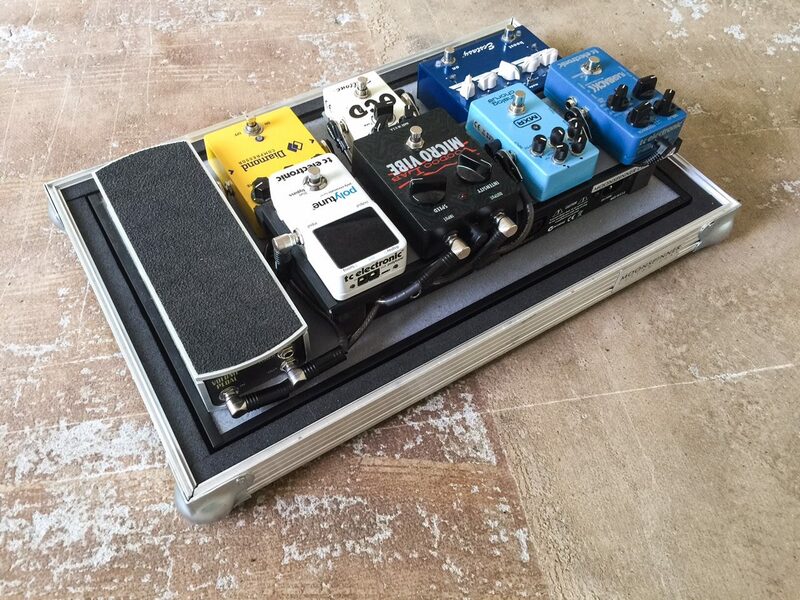 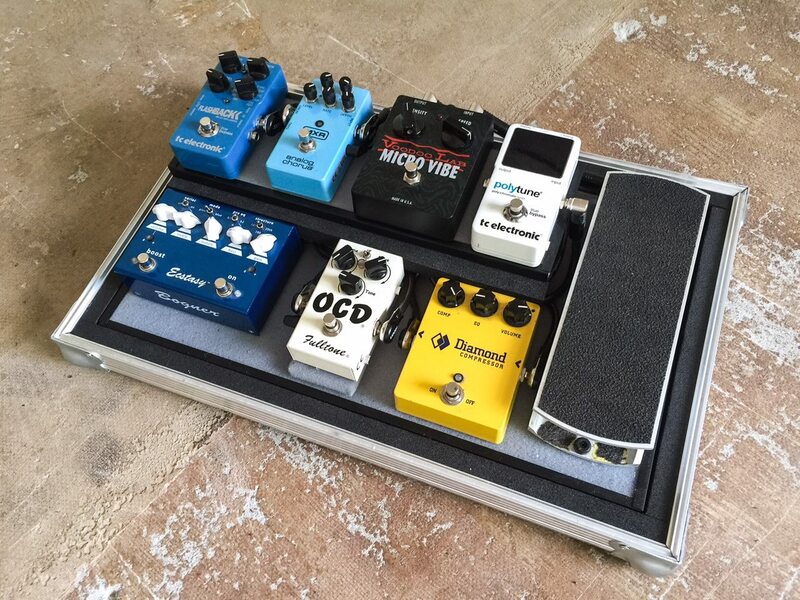 We helped recording & performing artist, and one of my dearest friends, Arris Schaap, downsizing his pedalboard. 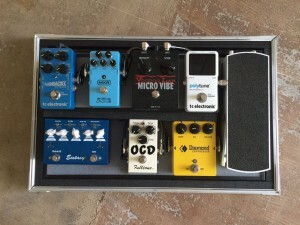 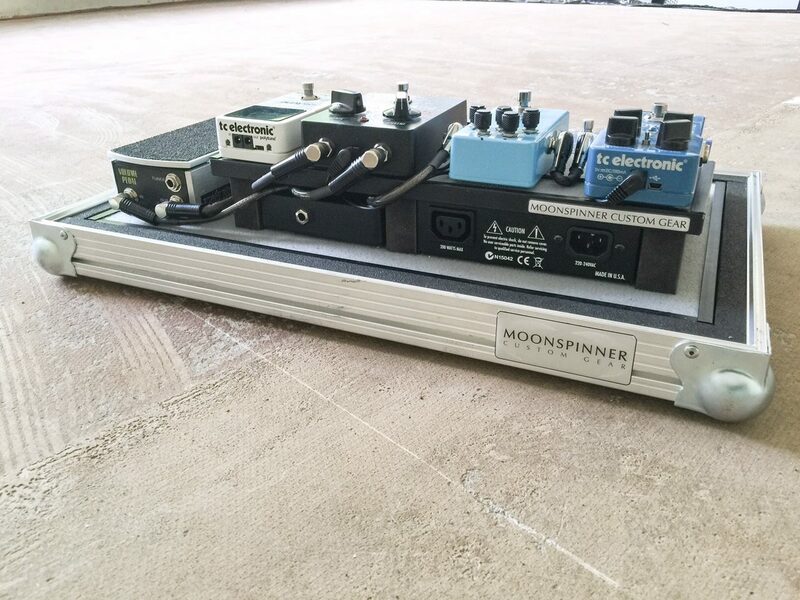 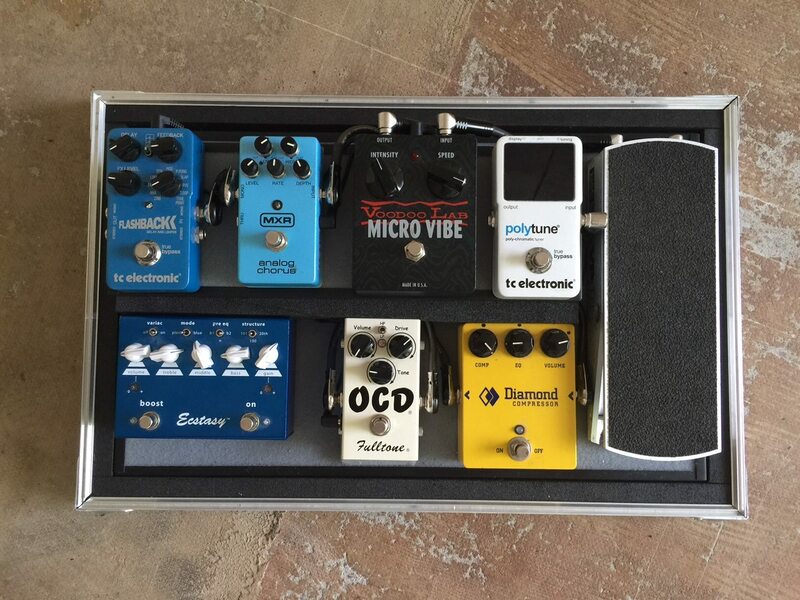 After years of back-hurting truckloads of gear, it was time to bring it down to one small custom made pedalboard, with all the sounds Arris needs. 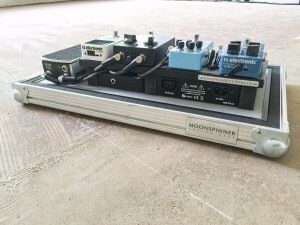 Wired with Sommercable, powered with Voodoo Lab.